Meeting the challenges of high-density client environments with the newest generation of Wi-Fi. Delivering higher throughput and capacity with two 3×3 802.11ac capable radios. Ensuring application performance by dedicating channels leveraging Meru’s MobileFLEX architecture. 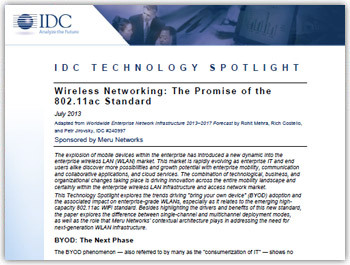 Get ready with the full power of Meru’s 802.11ac AP832 by downloading The Promise of 802.11ac Tech Brief from industry analyst firm, IDC. 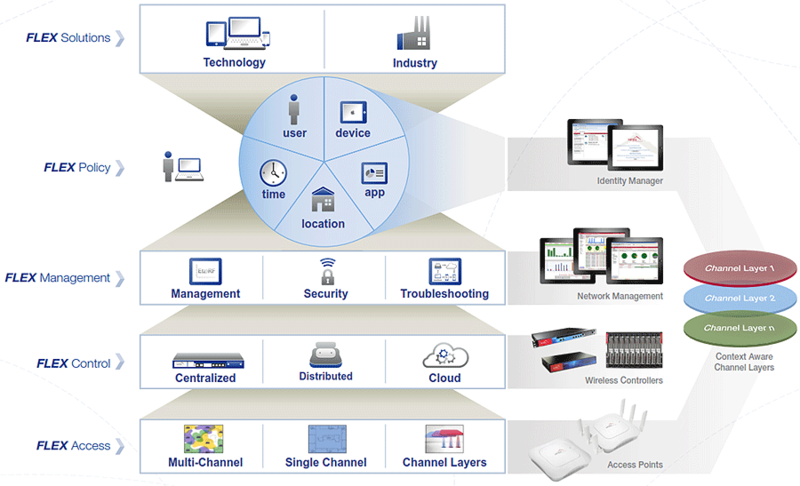 And learn how Meru’s Wi-Fi solutions can empower your network with ultimate performance. Download the IDC Tech Brief to learn about the benefits and challenges of deploying 802.11ac in high-density, mobile environments.